Blogging is a peculiar activity. It initiates an internal monologue when one is alone in the field and keeps up the chatter all day, even when nothing is happening. But something must happen otherwise, God forbid, there will be nothing to blog about. So when, during a quiet morning on Key Biscayne, an Indian Peafowl rustled his train in preparation for his display, the inner voices cheered and pointed with relief. 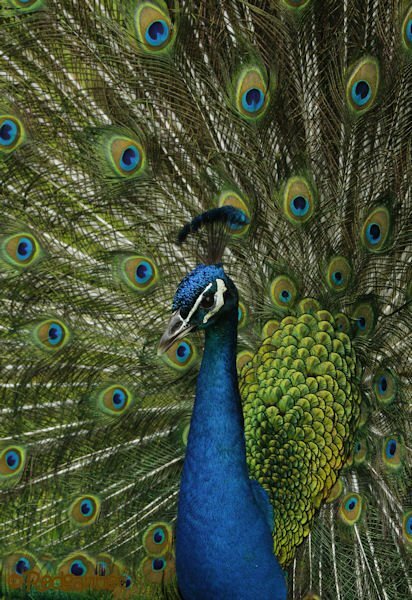 A non-countable exotic he may be, but the fan display of a peacock is one of the birding world’s most splendid sights. 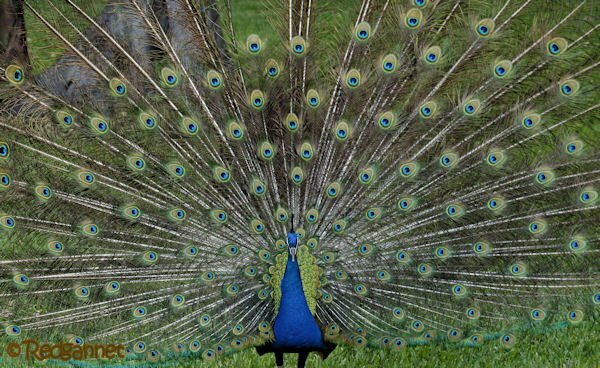 In their native India, the peacocks begin to display as the weather starts to heat up ahead of the monsoon (round about now actually). Holding a fan open and upright to impress the peahens in temperatures exceeding 40C is a feat of some endurance and often occurs in the shade to avoid overheating. My encounters with peacocks showing off have been in the shade and usually from behind where the view is still impressive, but not so colourful. Crandon Park, on the island just off the coast of Miami, Fla., is home to a few exotic species. 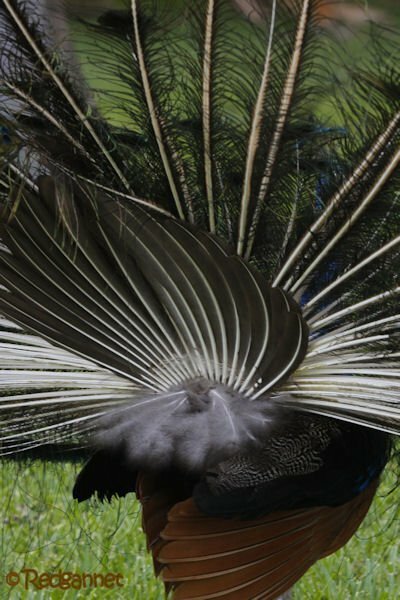 A zoo once stood at the south end and possibly contributed a few peafowl to the growing population in the USA. 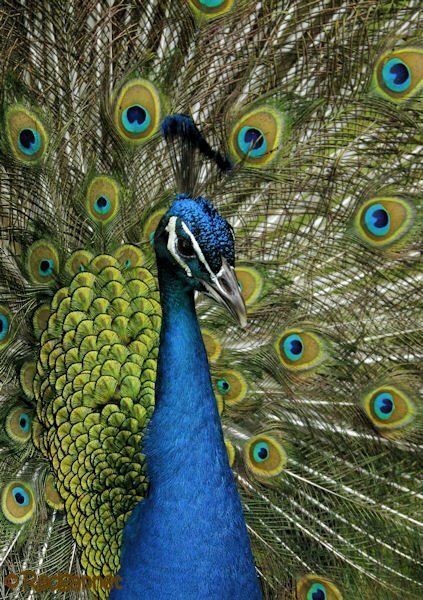 It is easy to understand how the astonishing display of the male caught the attention of exotic collectors, but their neighbours would have been less pleased with the Penelope Pittstop cries for help (You decide, Indian Peafowl or imperilled heiress). In the moderate warmth of a Miami morning, he was able to sustain his fan under light cloud for longer than my camera battery could last. To make the post more complete, I should include a picture of the peahen ignoring him on the path, but that would have meant turning away from his magnificent exhibition. 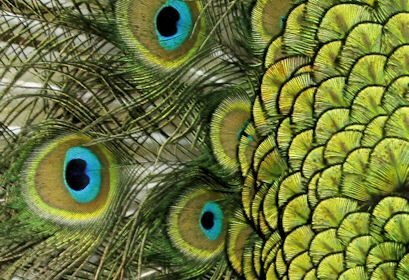 When it comes down to it, the Indian Peafowl really is one of the most spectacular bird species on the planet. Spectacular photos! 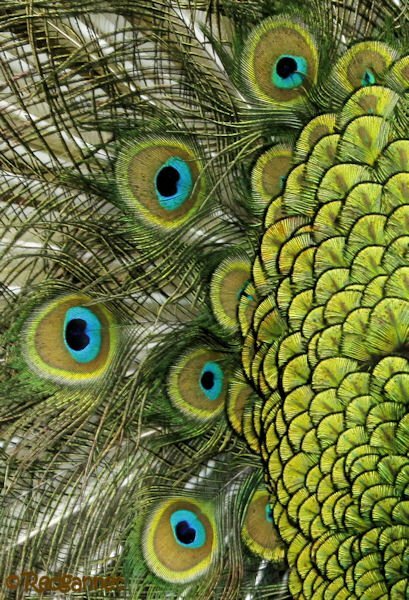 When I used to be a school principal, one day a peacock showed up on the playground. It took a couple of days for us to figure out where he came from and how to return him home. Meanwhile he attached himself to one 3rd grade boy, whom he followed around at every recess. He would perch on the railing outside that boy’s classroom. Indian Peafowl are countable in NZ and weirdly according to eBird it’s where I first saw the species. Damn losing my India notebooks!